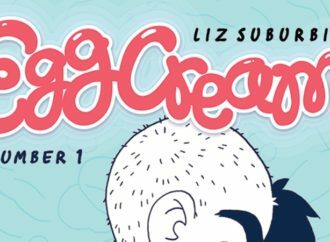 Welcome back for our last installment of WWAC Reviews the Oni Press Dream Daddy series! 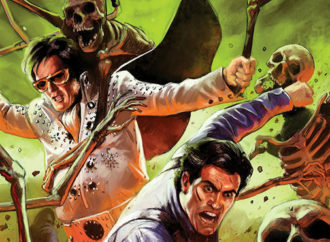 Issue #5 is the last issue in the series, written by Josh Trujillo with art by D.J. Kirkland. In this review we talk about the issue, the strengths of the series, and what we would want if (fingers crossed) the series continues. Previous reviews are here, here, here, and here! Also check out Kate’s interview with Josh Trujillo about this issue back at Rose City Comic Con in September. A review copy of this comic was provided by the publisher in exchange for an honest review. DADS. GAMING. MAKING A PARTY! How do you feel about the guys’ chosen classifications and character types? Lisa Fernandes: I thought they were pretty perfect! I got a big kick out of Elf Craig. Everyone else completely fit their roles. Alenka Figa: I would like to take a moment to point that I CALLED ROBERT’S CLASS and was 100% correct. This probably isn’t something to be proud of because, well, what else would he choose? I found Joseph’s to be the most fun. There was a nice, in-character balance of him of course having holy and good powers, but being sort of careless when it came to the well-being of his teammates. (Poor Damien.) Everyone seemed pretty on point and well thought out. Kate Tanski: Mat as a bard is probably my favorite, to be honest. Other than Robert as a rogue, which, as Alenka points out, was probably the best fit. And although Brian is not my fave dad, the FLOWERS IN HIS BEARD are so beautiful. I love it. Melissa Brinks: They’re all perfect! I think I mentioned this before, but I love Joseph as a paladin. That’s totally how he would see himself, whether or not it’s reflective of the person he actually is. They were all great, but Joseph as a paladin is my absolute favorite on a whole bunch of levels, including getting, like, super granular about the perception of paladins in gaming. Getting super granular about gaming is like, kind of my thing. Hugo’s a flustered first-time DM who can’t get anyone to listen to his game and Damien—who is unsurprisingly a total D&D nerd—knows his lore and his character types. What did you think of the dadley rivalry, and when you play are you a Damien or a Hugo? Lisa: I wouldn’t have gone with a Damien/Hugo rivalry at first blush, but I loved where it led. The two of them are very knowledge-leaning people, so their verbal fist-fight really worked for me. Hugo flying by the seat of his pants after months of planning (and Ernest’s interference) style definitely flowed well. And I’m definitely a Damien; so much nerd lore in my head, I have it! Alenka: Damien as a backseat DM felt very on-brand, and while unexpected, it was interesting to see Hugo getting a bit drunk on his own power. Dropping an Ernest prank into the mix was a great way to remind us about the difficulties in their relationship and how Hugo’s home life and job are very much about not being in control because he’s constantly surrounded by unruly teens. I’ve never been a DM, and I’m most certainly not a Damien—as a player, I am much more interested in story and character development than lore and mechanics—but I can see myself one day being a Hugo, totally overwhelmed and scrabbling for control. Fun to look forward to, especially as my partner nudges me about trying to DM someday. Kate: So I was a first time DM recently, and I have so much sympathy for Hugo. I had players who were more experienced than me, and much more knowledgeable about the world, and the lore, and even the mechanics of building characters, it was nerve-wracking. But honestly, I was more like Craig and Brian when I played. Like, just tell me what dice to roll, okay? And if you could also keep track of my stats for me that would be awesome. Melissa: I’m both! I am EASILY flustered as a DM, but I also want everybody to have a good time. The result is that I can be both too punishing and too easy on my players. I have to find a balance, and that’s hard! In that sense, I totally feel for Hugo. Being a DM can be rough, especially if you have players who aren’t as into it. But Damien, despite his backseat DMing, is ultimately right, I think. Tabletop games should be fun for both the DM and the player, but one of the keys to being a good DM is knowing when to relinquish control and let the players lead. It takes a lot of trust to do that, and, as a first-time DM, Hugo’s gotta work on that. Anyway, what I’m saying is that it was a super relatable conflict and I liked it a lot. Unexpected Craig/Brian sexual tension in this issue! Lisa: Talk about pairings I never saw coming! But it was really interesting to see them together, and Craig’s actions were totally unexpected to me! Alenka: I LOVED it, like, holy dang I did not expect this, but it was super fun and, uh, I guess I have a new ship?! Trujillo teased us with just the right amount of cuteness and steamy-ness that that might be the piece of this comic I want more of the most. Write me like a five issue story arc of Brian and Craig making smolder eyes at each other and forcing their kids to hang out, please! 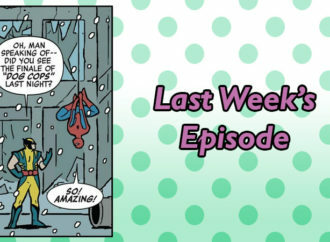 Kate: When I interviewed Josh Trujillo about this issue back in September he hinted at this scene and the subtext, so it was a delight to see it finally! Melissa: Yes, please, thanks. Let’s be real, I love all of the dads and am fine with them dating one another instead of Dadsona. I like Craig and I like Brian, so why NOT have them together? I’m not hard to please. No Dadsona this issue! Did you miss him? Headcanon him as Joseph’s mysterious middle-of-the-night hookup? Lisa: I’m of a divided mind! On one hand, I really enjoyed seeing the dads together without him. On the other hand, I’d really have liked to see what his character would’ve been and what position he’d have taken on the team! Alenka: His absence made a lot of sense to me since Dadsona is essentially a class that we, the reader, can and did get to play in the game. Additionally, tabletop RPGs are a way to build friendships. I’ve honestly spent a lot of this year building up relationships with the friends in my Pathfinder game, and there were great echoes of that in this story with Brian and Craig bonding over being newbies and Hugo and Damien bonding over deeper DM struggles. It was nice to end the comic run with a stronger focus on the inter-Dad relationships and set Dadsona aside for the moment. Kate: Joseph’s middle of the night hookup is so mysterious, but so on-brand for Joseph. I love it. It’s probably my favorite little bit of worldbuilding mystery in the series, honestly. I think that Alenka’s hit on the important point: Dadsona is all of us, and so having a Dadsona being a part of this group wouldn’t really work, narratively speaking. But I hope it leads to a heck of a lot of fanart with people sharing what their Dadsona RPG characters would be like! My Dadsona would definitely be a rogue like Robert’s, but with a side of apathy. Or maybe an Elf Archer like Craig’s but with a mercenary side. Hmmm. I’ll have to think about it. 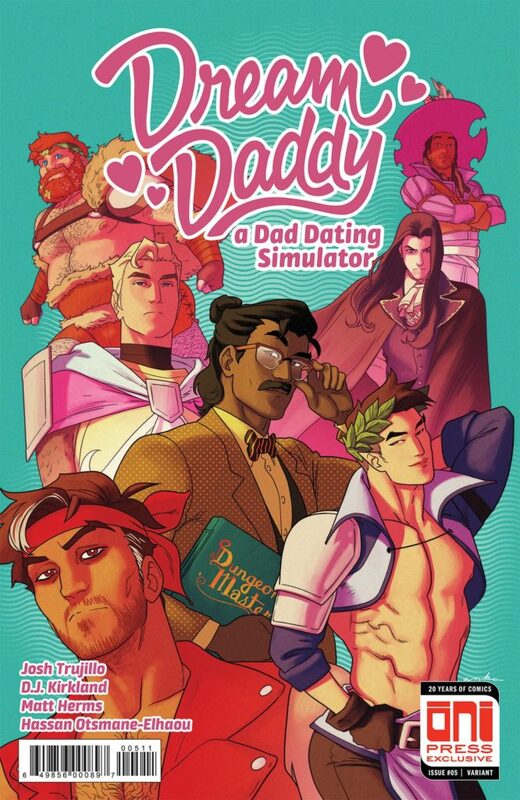 Alenka: Okay, now I’m thinking about this, and if the comic had been structured differently with the focus entirely on the game, Dadsona would probably be an NPC who pops up in random places. I think of him as sort of a jobless, socially awkward, lazy wanderer (sorry, Dadsona), so he’d maybe be a lackluster bard who tries to get the Dads to buy him drinks, but he’s really hot and they all want to hook up with him. Obviously, he plays ska music to Inspire Courage, but he’s really rusty. 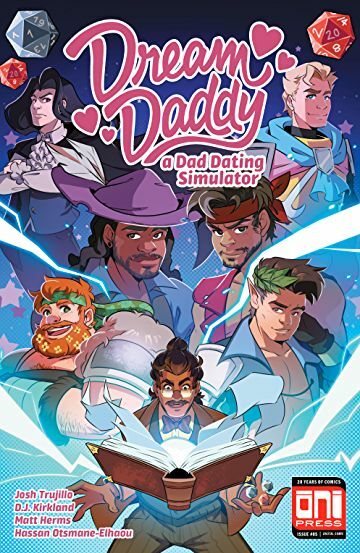 Melissa: I didn’t really miss Dadsona, because I like how fleshed out Dream Daddy’s characters are. 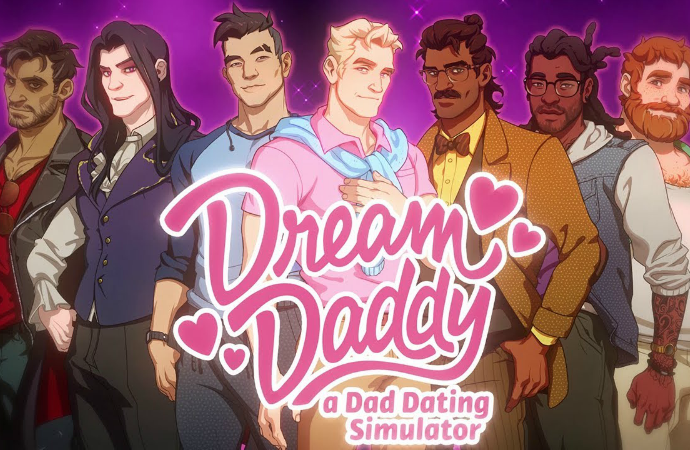 There’s enough drama between them that I don’t think it needed an additional person, especially because, by nature of Dadsona being a visual novel protagonist, there’s so many potential character variations that I don’t know that any of them would be entirely fulfilling. I do like the idea of him as an NPC though, as Alenka suggested! Damien’s revelation about his childhood was extremely powerful, wasn’t it? Lisa: It took my breath away. I have so many trans friends who took refuge in things like roleplaying to deal with a world that couldn’t accept them as they wanted to be, so it really struck a chord for me. Alenka: Damien really gets to heart of how tabletop has to be a collaboration, where the DM both brings pain and struggle, but also adapts the game to meet player interests and needs. There’s a dark side that Hugo almost dips into. He needs to be in control so much that he squashes player needs and almost takes the fun out of the game. It’s lovely to see Damien open up and teach Hugo about how tabletop RPG—which can have really toxic fans and participants—can and should be a place for people to escape limits, be themselves, and experience joy. Kate: For me, D&D is just a game. I’ve never identified with any character or had my personal identity tied to my character’s or anything like that. So, while I love the concept, there’s always been that disconnect for me when I hear people talk about it as something intensely personal or transformative. That was really interesting to read about, and maybe made me understand Damien’s performativity in a new way. Melissa: I love that insight. 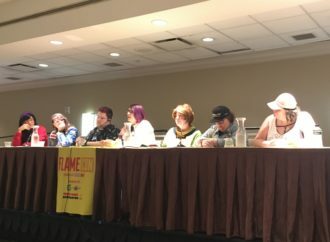 We actually have a series on this topic over at Sidequest called “Let Me Tell You About My OC,” where our writers discuss the characters they’ve created and often reflect on the aspects of themselves those characters represents. It’s probably not a surprise that I could wax poetic about the power of collaborative storytelling and roleplay in particular, given that I edit Sidequest, but I really loved that moment because it’s so true. Roleplaying is fun and delightful, but it’s also powerful, and I think this issue really understands why that is! What did you think of the art style? Lisa: Really cute! If last issue was more anime/Steven Universe, than this issue was more cartoony. Alenka: Hard agree, I loved how cute and cartoony this issue was! DJ Kirkland’s character designs for the Dads’ actual characters were especially fun and really lovingly crafted. There are so many little details—like the flowers in Brian’s beard, the modern style of Robert’s vest, or the princely flair of Joseph’s costume—that felt just right for the characters and how they see themselves. Both Kirkland and Matt Herms, the comic’s colorist, did a fantastic job segueing between the bright, flowing fantasy sequences and shots of the Dads just sitting around the table. I especially like the bright lights from Joseph’s Moon Goddess powers and the music spirals Matt creates as a bard. Kate: These might be my favorite interiors of the series, actually. Kirkland really was able to evoke the art of the game while at the same time making it in their own unique voice. The splash pages are so, so good. Melissa: DJ Kirkland is legit one of my favorite comic artists. His characters have such great expressions, I love the way his drawings celebrate bodies, and I think he was a perfect fit for the kind of silly but still earnest nature of this issue in particular. Together, Herms and Kirkland have this really vibrant and wonderful style that’s just perfect for what I expect from Dream Daddy! I really love the hints of manga influence peppered throughout, like Damien’s exaggerated diffusing awkwardness expression with the upside-down “U”-shaped eyes, or Hugo’s glowing glasses on the next page. Favorite references or background gags? Lisa: Ernest setting the family Christmas Tree on fire! Kate: The “I’ve been neutral evil all day,” line is pretty great. I also found Robert’s line where he says “I just don’t know what ‘Robert’ is supposed to FEEL right now,” so relatable. Melissa: I think it’s extremely cute that Joseph’s paladin outfit is in the colors of the pansexual flag! His regular outfit is pink and blue, but the paladin outfit adds in the yellow, and I love the idea that that’s how he imagines himself. And how about those covers?! Lisa: I NEEDED A LITTLE MORE SHIRTLESSNESS THIS MONTH. But all of the covers were beautifully done. No complaints here! Alenka: I was very drawn in by Kirkland’s cover! It’s the kind of cover that would draw my eye immediately at a comic shop. Hugo looks so excited but devious, and each Dad has a perfectly on-point expression that makes you want to know more about their personalities. It helps that it’s very bright and flashy. Kate: I thought it was really interesting that both of the covers had very similar layouts. It’s the first time that’s happened, so it kind of threw me for a loop. But I’m very pleased we got a shirtless Craig to end the series with. There’s a beautiful symmetry in beginning and ending with Craig being objectified, so thank you Kris! Melissa: Like Alenka, I would absolutely pick this up without knowing anything about it. The combination of the roleplaying concept and the artwork screams my name! Let’s get serious for a moment and look back at the series as a whole. 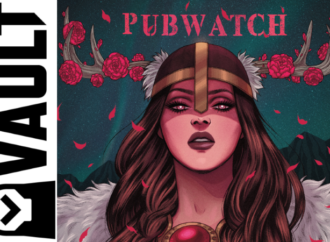 This is the first time that Oni Press has attempted an anthology series like this, so what are your thoughts about the strengths and weaknesses of the format? 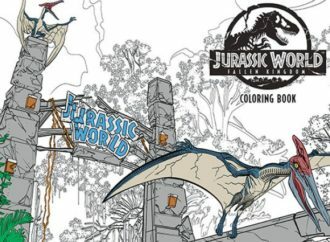 When you look back at the series, is there anything that you wish there had been more of, or flaws in the structure that impacted your enjoyment? Alenka: While I have enjoyed the entire run, this issue and the Mat-centric issue both felt a bit scatterbrained to me. Dream Daddy has a pretty large cast, and it’s difficult to weave the full ensemble into a single issue one-shot. Because “Daddies and Dungeons” was the final issue, I think they tried to give everyone a moment to shine, but as a result each piece of plot got a bit lost. I wanted a touch more of Damien and his very emotional connection to the game, of Hugo venting his control issues into DMing, of Craig and Brian flirting. And with Matt’s issue, I definitely just wanted a bit more Mat! As much as I love Robert, that comic felt a bit more like a Robert story than a Mat story. However, the nature of these comics—that they’re love notes to and expansions of the Dream Daddy universe—means that there are no deep, long running character arcs, so it’s okay for them to be scatterbrained. They’re all still enjoyable! Melissa: I agree. I love the idea here, and I think it was a really worthwhile experiment. But because some of these issues were devoted to one characters and others weren’t, it did feel a little uneven to me. I hope that there are more in the future, because I’d love to see characters like Mat and Hugo get the same share of the spotlight that Craig and Robert did. I get it—I love them, too! But I was a little disappointed that two of my favorite dads didn’t get the same degree of storytelling that some of the others did, since their stories were even more entangled with others’ than Brian’s and Joseph’s. And to end on a high note, with this issue, we’re forced to say goodbye to the dreamy dads of Maple Bay. What would you like to see them get up to if the series returns, and what’s your favorite moment from the past five issues? Lisa: I’d honestly love a Mary-centric issue next time. My absolute favorite moment was definitely the entirety of the Damien and Robert storyline in issue #2. Alenka: I would also be super down for Mary comics, or even a short series about shenanigans that the kids pull off! Give me some more of those wild, creepy twin pranks please! In fact, one of my two favorite moments from the series was Daisy panicking about de-alphabetizing those books. She’s so precious, and I will protect her forever. My second favorite is the end of issue 2, when Robert is monologuing to Betsy and having this moment of growth. More Robert stories forever. More Dadsona! While I loved seeing the dads without him, I also missed him. More stories about the characters we don’t see much of in the game. I loved learning about Amanda’s stage fight, and Daisy’s awkwardness, and the twins being totally self-aware of how other people think they’re scary and playing into that. There was so many good stores with the kids, but I’d also love to know more about Mary, and maybe even the other absent moms. More creators from diverse backgrounds. One of the exceptional things about this series is that when you look at the creators, Oni did an incredible job hiring writers from a wide-range of backgrounds. I was thinking about it earlier, and aside from the comics themselves being enjoyable, and the Dream Daddy world being such a fun sandbox to play in, it means a lot to me that they went out and hired trans creators, and POC, and other underrepresented groups. Melissa: Seconding Mary comics. I love her! 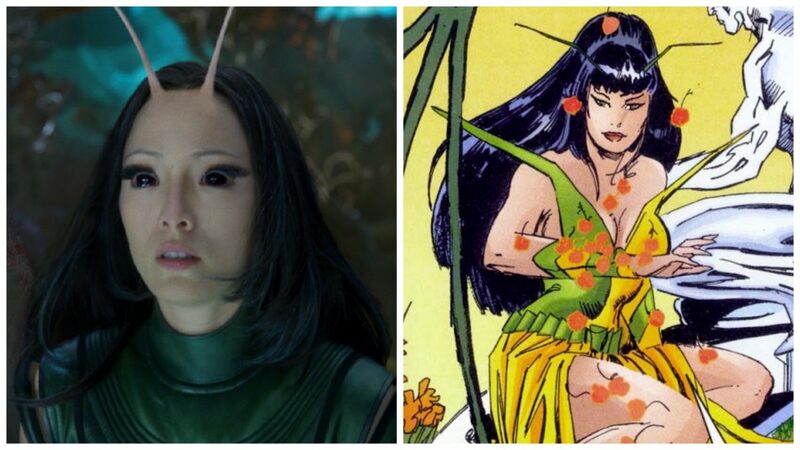 I want to know more about her. And Robert is a whiskey-soaked marshmallow and I love him for it. Personally, I just want… more? I think there are a lot of fun stories to be told in this setting, and I want to see more of what different creators can come up with! I love the anthology feeling and the fact that, as Kate mentioned, Oni had such a diversity of people writing, drawing, coloring, and lettering this series. Every issue was a refreshing new take on the series, and the self-contained stories were so much fun. Just give me more of it! Dream Daddy #5 is available through Oni Press digitally and in print.